An organisation working to improve mental wellbeing in and around Stamford could be expanding its service, thanks to LotterySK. MindSpace Stamford is on course to receive more than £2,400 this year from people supporting it with tickets from South Kesteven District Council's community lottery - steaming into 2019 with 77 good causes listed and £71,000 heading for community causes. That's enough to launch a completely new service as it continues its commitment to get the whole Stamford community togetherin a more caring, compassionate and friendly fashion to support others towards good mental wellbeing. For SKDC, Deputy Leader and Stamford councillor Cllr Kelham Cooke, said: "MindSpace Stamford is an amazing organisation serving a wide community, and illustrates what a huge range of good causes our lottery is now supporting. "It's really encouraging to see the scope and breadth of how lottery funds being generated are working within the community and it's a great way to start 2019." Launched in 2015 by Dr Dan Petrie, MindSpace Stamford has recently added yoga, art therapy and boxing sessions to an already busy schedule includingwalks, mental health training, a drop in café with a chance to meet people and a clean team. It's also currently developing a Men's Shed for men to work shoulder-to-shoulder. 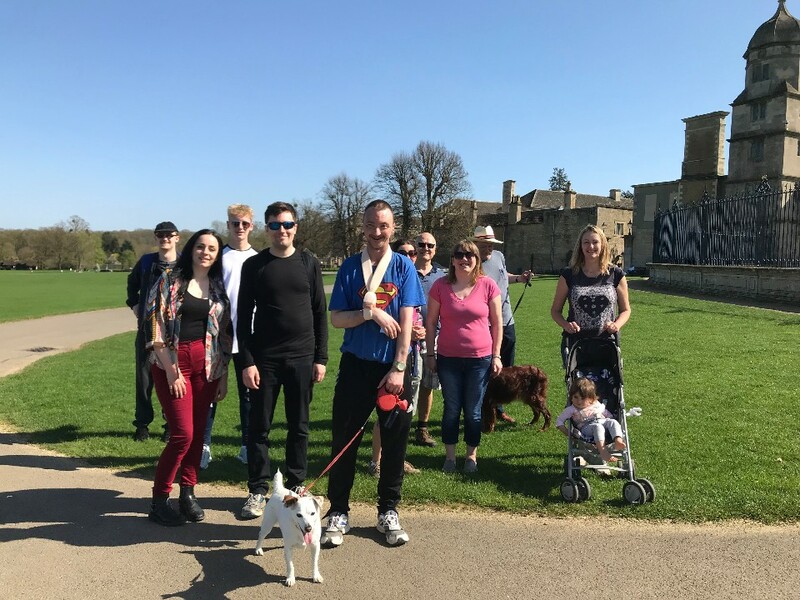 Dr Petrie said: "The regular funds we receive from LotterySK are extremely helpful in enabling us to put on free activities for the people of Stamford. Poverty and mental ill health are linked, so to have no-cost opportunities to promote wellbeing locally is invaluable. "We are here to allow local citizens to flourish. It's more than just not being ill, but being able to be a fully engaged member of the community. Collectively, it's about us all working together to make Stamford a flourishing community where everyone is listened to and valued." "We certainly want to expand both our offer and possibly add things to the programme", said Julie Harwin, MindSpace Project Manager, who started as a volunteer and is now a contractor working in the community and taking forward all the new projects. With links to all local charities, churches, schools and medical providers, MindSpace Stamford is intent on pursuing charity status, opening up other funding opportunities. Lottery players have a one in fifty chance of winning one of the prizes, which range from three extra tickets to the £25,000 jackpot. When a participant chooses one of the good causes, the organisation receives a 50 pence donation, and 10 pence goes to a central 'Community Fund'. If no charity is chosen, all 60 pence goes to the community fund.